We are very happy to announce that We Fix Alloys have moved to bigger and better premises. We have enjoyed our time at our old workshop but it was time to move on as we had outgrown the space. Our new bespoke designed premises are even easier to find being just off the Coast Road at the turn off for Tesco’s. Nearby restaurant My Shanghi could be just the place to go while you wait or perhaps you’ll pop to Tesco’s for some shopping. We also have a comfortable waiting area if you’d prefer. All other contact details remain the same and of course you will get the great customer service and fantastic alloy wheel repair and refurbishment you are used to! We look forward to posting pictures of our bespoke workshop facilities where we will carry out your alloy wheel repairs to a high standard. 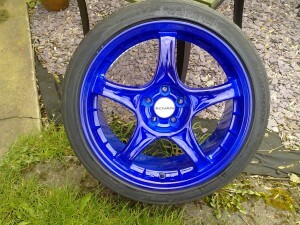 What colour can I have my alloy wheels? 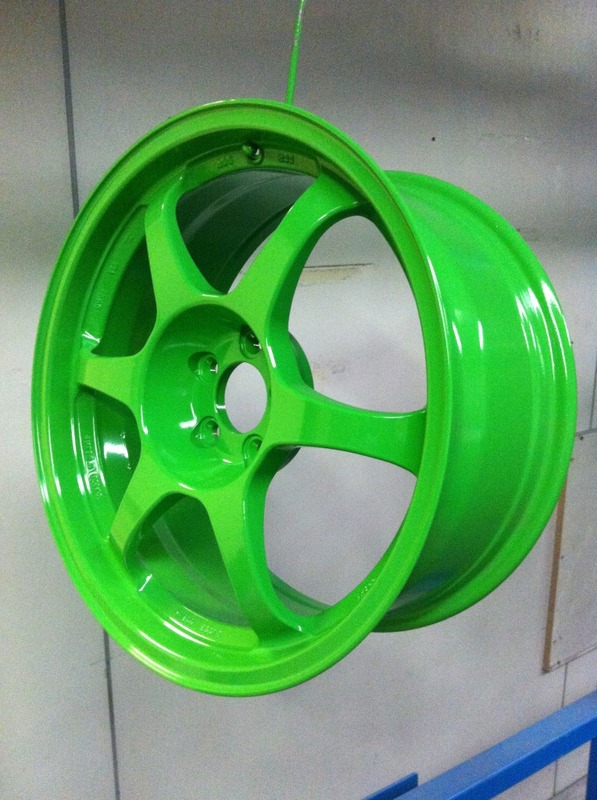 This week’s blog is all about colour – gone are the days of Mr Fords ‘any colour you like as long as its black’ and a question we often get asked at We Fix Alloys is ‘What colour can you make my alloy wheels after refurbishment?’ – We always answer – any colour you like!! Other past clients have come in with a specific object for us to match.. Some just like to go for shine. Yes – you can see the camera in the second photo – it is THAT shiny!! And there’s just those times when we like to experiment with finishes and colour so that we can bring you best… literally any colour, mixed with another or added to another. 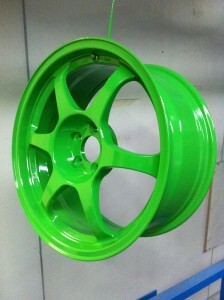 It takes us as long to think of names for the finish as it does to powercoat or paint them! 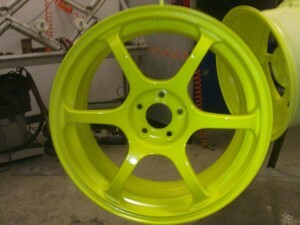 Which Type Of Alloy Wheels Can Be Repaired? So you’ve got alloy wheels on your car – but which type and are they repairable? 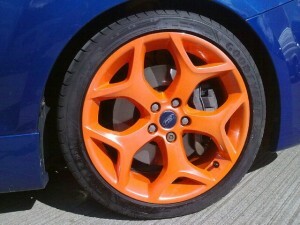 You’d think that alloy wheels are alloy wheels, but no – life’s not that simple. Most are aluminium but there are some containing additional alloys such as magnesium. Since we’ve been sharing all the great things we CAN do for you we thought it was time we told you what alloy wheel repair can’t do. This is important for you to know when talking to companies so that they don’t make promises they can’t keep. 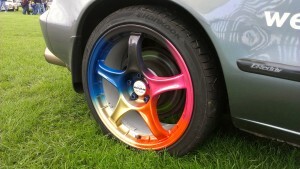 A professional repairer will be able to check each wheel and let you know whether the damage can be safely repaired. 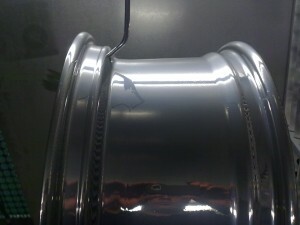 Badly Cracked Rim. The rim supports the full weight of your vehicle when cornering. Some minor cracks can be repaired by welding but the stresses on the wheel could cause the cracks to enlarge causing a blowout. Buckled Wheel – Damage caused to the wheel by a large sideways force, for example, sliding sideways on ice or a very wet surface into a kerb, can cause the wheel to buckle. This means the wheel won’t run “true”. The symptom of a buckled wheel is felt as vibration through the steering. If the wheel has buckled in all three dimensions it can be impossible to repair or the cost of repair becomes more than the cost of a new wheel. Bent Rims – Usually caused by running over something in the road at speed. Sometimes caused by mounting a step on to a pavement or into a car park. Another way a rim can become bent is by running with deflated tyres or with a puncture. The weight of the vehicle either suddenly or constantly on the wheel rim can bend the rim. This breaks the seal between the wheel and the tyre and may result in a blowout. As before, minor distortions can be repaired but anything. Severe Corrosion – If you allow alloy wheels to become so corroded the alloy becomes perforated they can’t be safely repaired. 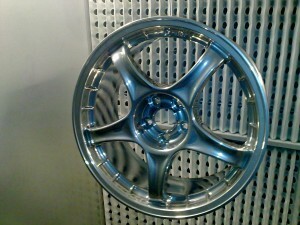 Some parts of alloy wheels, especially split-rim wheels can be quite thin. Minor corrosion can be filled or ground out but severe corrosion creates tiny leaks in the wheel that allows air to leak. The symptom of this is like a slow puncture and can be dangerous if your tyre deflates and you don’t notice. Distorted Wheel – this is where the wheel becomes slightly oval instead of round. This can also be caused by striking something in the road, even at low speeds. The wheel becomes deformed. The deformation is not just something that can be bent back into shape. The process of bending the wheel in this way makes it stretch slightly in different directions so it can’t be put back to its original dimensions. 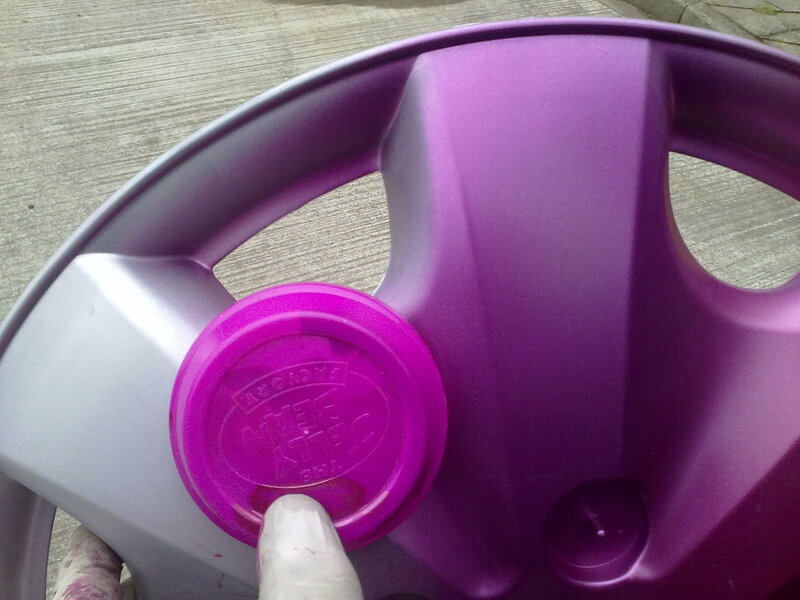 As with a buckled wheel the result will be vibration felt in the steering. In minor cases this will just be uncomfortable but severe cases can make the car vibrate so much it becomes dangerous to drive. As always please call the experts at We Fix Alloys if you have any concerns about the damage to your wheels. 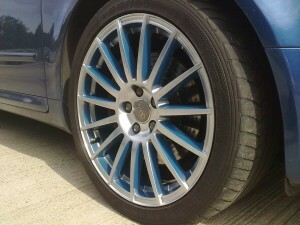 Advice costs nothing and we will always offer you impartial advice about what’s best for your alloy wheel repair. 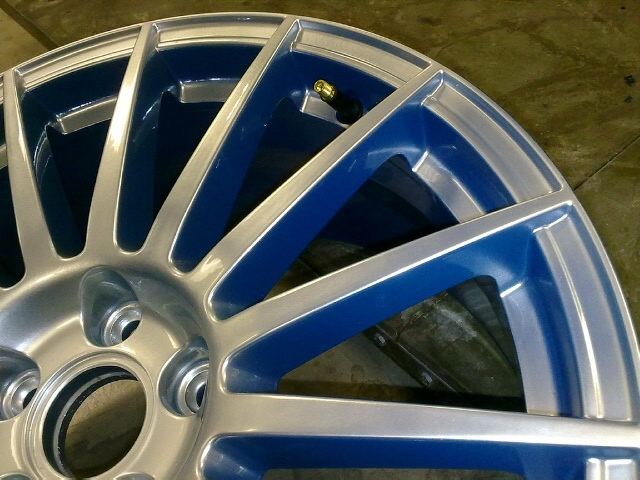 So you have alloy wheels – why would need them repaired at alloy wheel repair Newcastle? 1. You are about to sell your car or motor bike and want to get the best price for your vehicle. when it’s due for return. 3. You accidentally clipped a kerb and need a quick alloy wheel repair. 4. Your alloy wheels have been damaged over time by a build up of brake dust and road grime. 5. You ran into a pothole and caused damage to a wheel rim. 6. You have a classic car that you want to keep in showroom condition. Alloy Wheels are made of material that can easily be damaged but often can also be easily repaired. 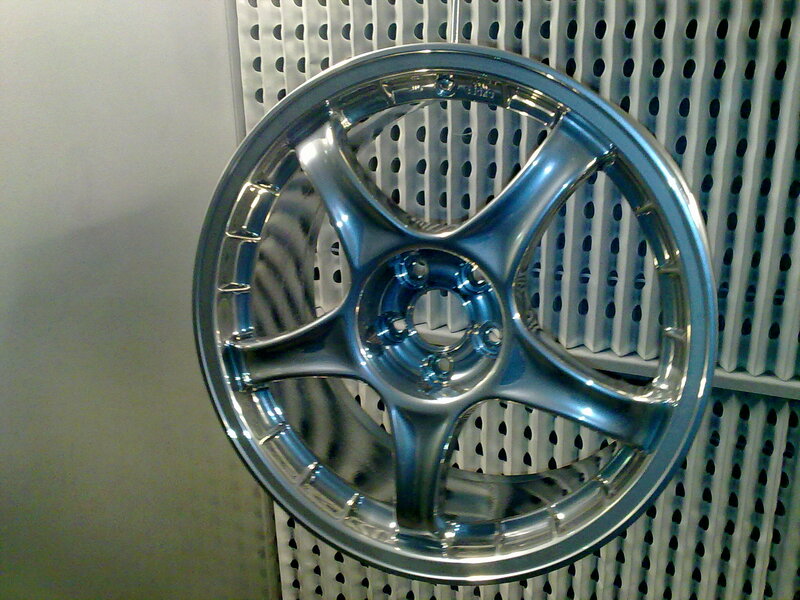 Car and motor bike manufacturers prefer to use alloy wheels because they look better than the steel versions. This is because aluminium alloy doesn’t rust like steel and it can be made into a greater variety of shapes and finishes. As a result the finished vehicle looks nicer while you own it and will sell for a higher price when its time to move on! 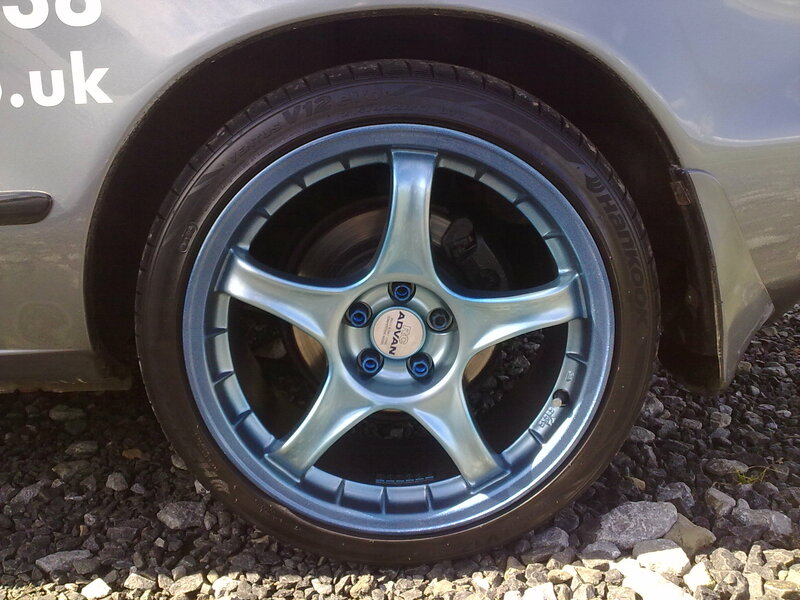 The downside is that the alloys used for these sorts of wheel are also softer than steel so they are more prone to damage, making them look scruffy and unattractive whenever you walk up to it or see it in the drive. As a result, when you come to sell a vehicle with damaged alloy wheels you’ll either get a offered a lower price than you expected to get or you’ll find it more difficult to find a buyer. The damaged wheels will make a prospective buyer think you’ve not looked after the vehicle properly and there may be other damage that isn’t so visible, meaning you could easily lose a potential buyer. The difference between a car with damaged alloys and the same car with showroom condition alloys is typically £500 to £1000. The one with damaged wheels will definitely take longer to sell. Damaged alloy wheels, apart from making your car or motor bike look scruffy can also hit you in the pocket when you come to sell your vehicle. So, in summary, whether you own or lease your vehicle it pays to take care of your wheels and get them repaired if they become damaged. 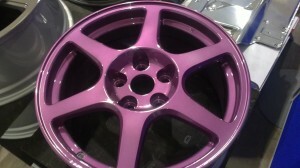 For any type of alloy wheel repair Newcastle give We Fix Alloys a call on 08000 14 15 99. We currently operate in Newcastle upon Tyne, Hexham, Gateshead, Sunderland, Durham, Whitley Bay, Tyne & Wear, Northumberland, Blyth, Newbiggen, Tynemouth, North Shields, Wallsend, Benton, Gosforth, Heaton, Fenham and Jesmond. We regularly travel further south for our customers and can arrange for courier pick up if needed. What are you waiting for? !